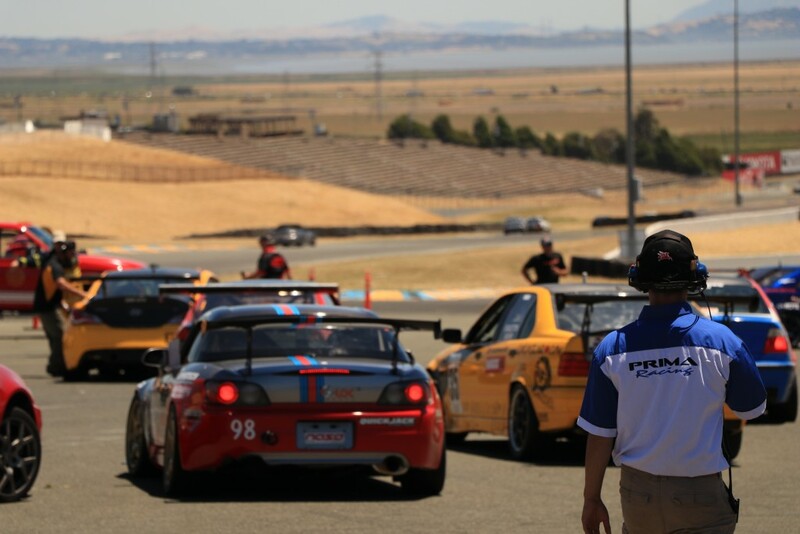 The Prima Racing team entered the third round of the USTCC season with a focus on stretching their lead in the championship season points. Heading into the weekend, the team held a small margin atop the standings following Andrie Hartanto’s season-opening victory at Laguna Seca and Michael Ostby’s fourth place finish at Auto Club Speedway. 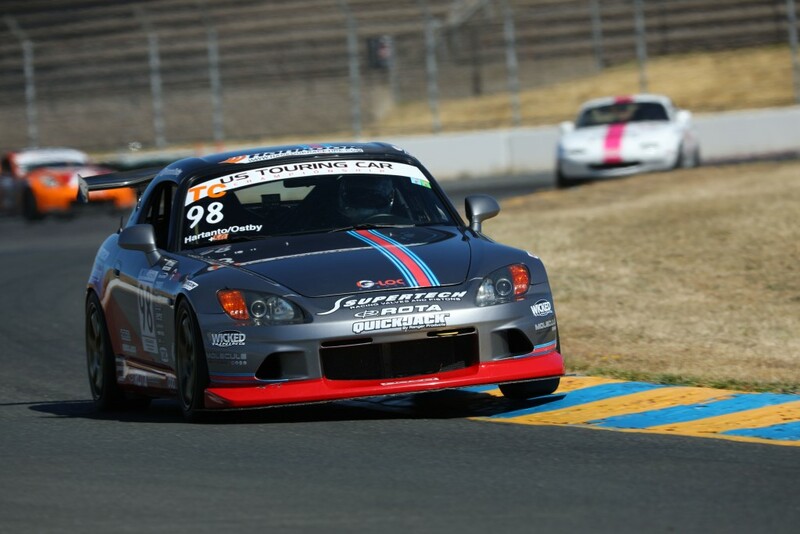 The third race was considered a home race for the team, considering Sonoma Raceway’s close proximity to the team. Driver Andrie Hartanto would be assuming race duties for the weekend. 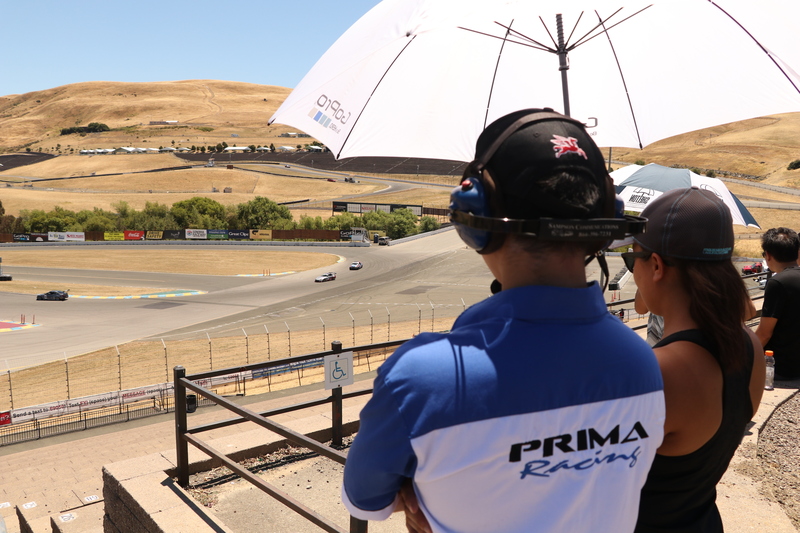 Hartanto’s extensive record at Sonoma made him the strongest candidate to expand the margin in the points standings during a critical push to widen the gap between Prima Racing and BTM Motorwerks. 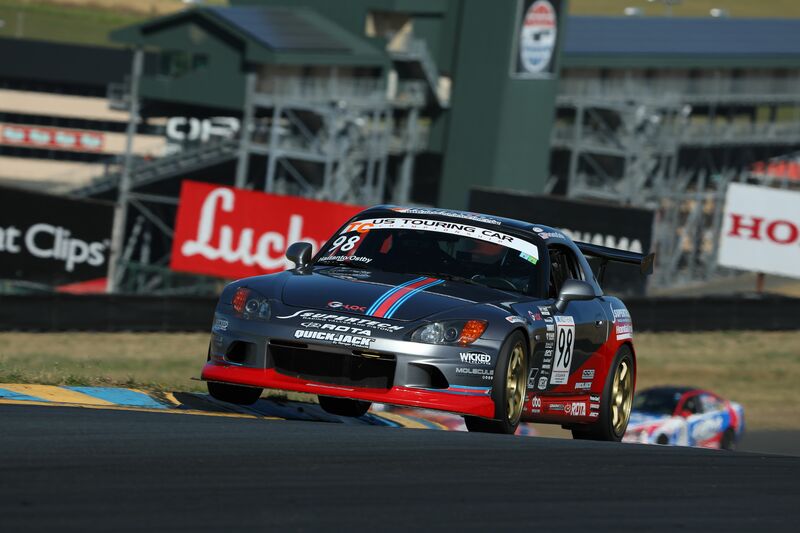 The weekend got off to an eventful start, as the team’s Honda S2000 failed to complete a single lap during the warmup session. Hartanto complained of difficulty with the transmission and crew members James Tam and Lee-Anne Ostby got to work bleeding the clutch system and inspecting for leaks. 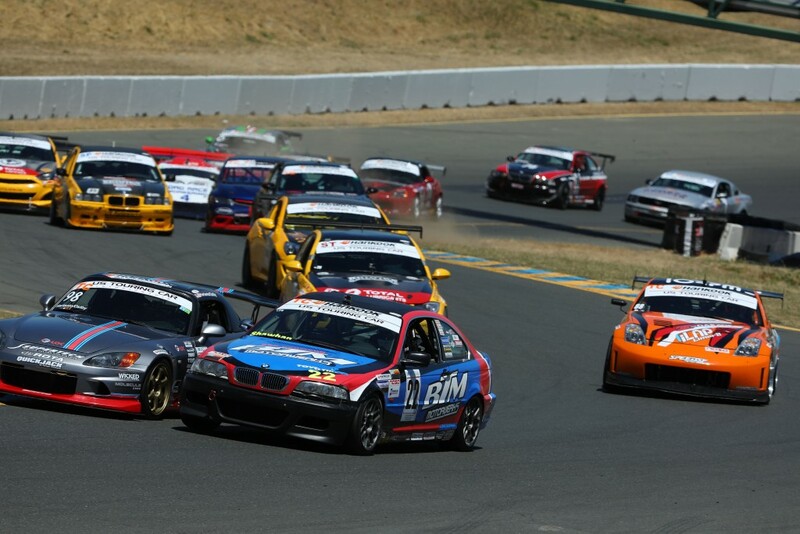 After driving the car around in the paddock, complications continued to persist. Once depressed, the clutch pedal would remain on the floor, rendering it impossible to change gears effectively. 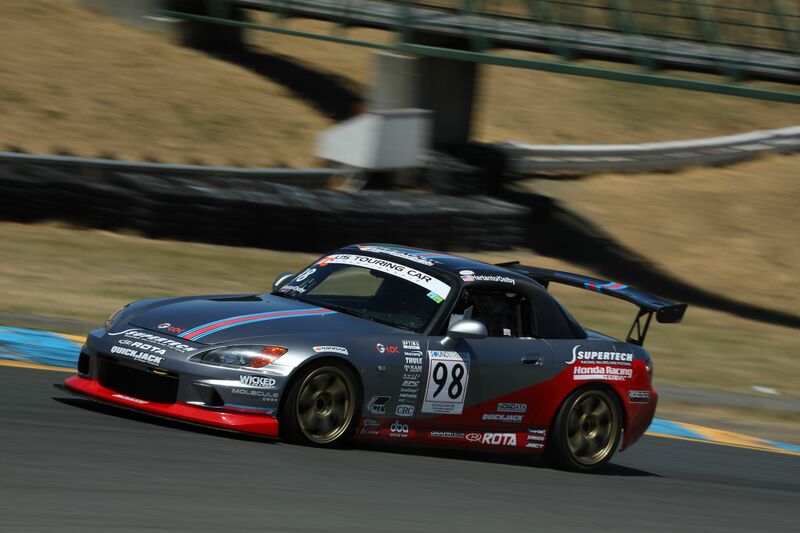 The team had placed the S2000 on the QuickJack for further inspection when it became clear that the clutch had suffered significant deterioration. 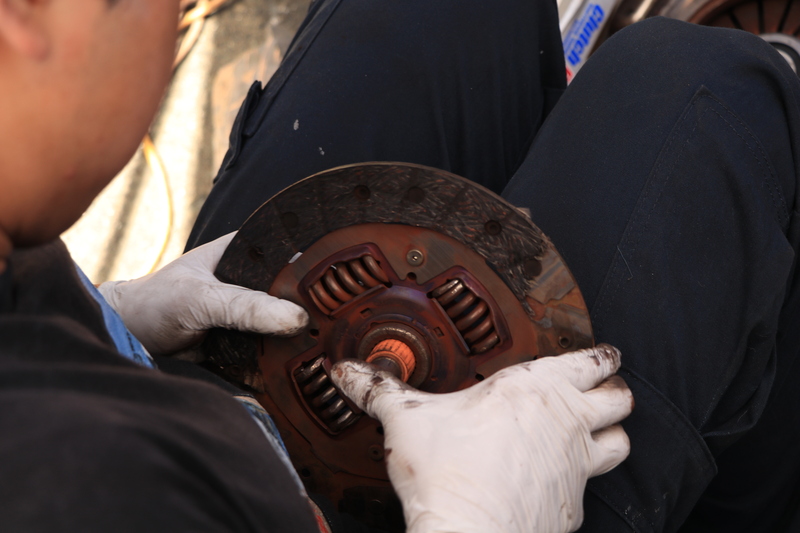 Lee-Anne and Michael Ostby jumped in their car to drive home in search of spares while James Tam got to work dropping the transmission out of the car in anticipation of replacing the clutch. 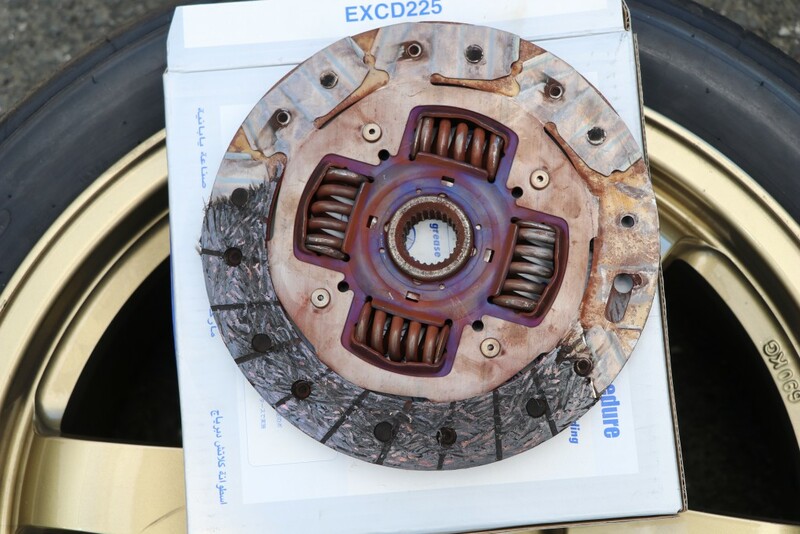 Fortunately, a used clutch was retrieved at the Ostby household. Tam made quick work of getting the transmission out and with some guidance from Andrie Hartanto and BlackTrax Performance’s Jei Chang, a makeshift clutch alignment tool was developed. The team then got to work on installing the clutch and reinstalling the transmission. 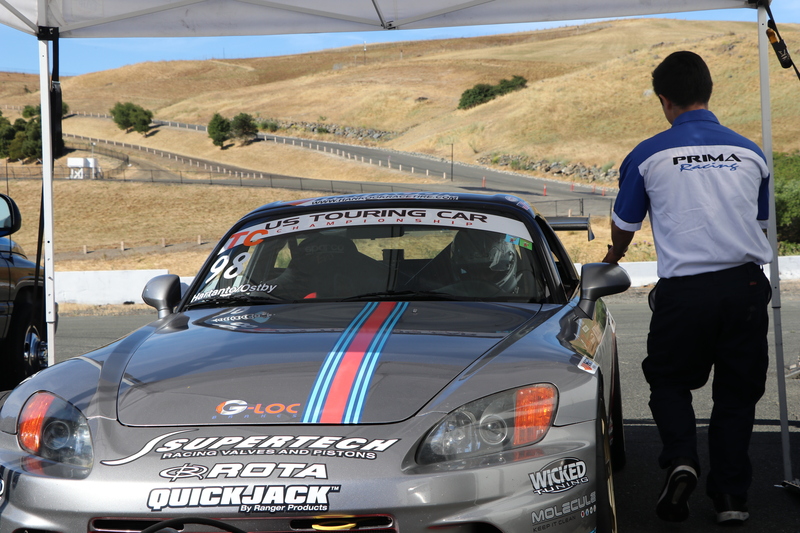 Even Speed SF Racing’s Crew Chief, Joe Chang got in the action with assisting for the final push. The car was put back together and ready to go, however the team missed precious running time including the first qualifying session. Fortunately, the team did manage to get the S2000 out on track in time for the USTCC practice race at the end of the day. Hartanto got to work, putting together a number of fast laps before heading into the pits. While the times would not count towards official qualifying, they served as a helpful benchmark. The S2000 was nearly a second off of the pace of the fastest car, the E46 BMW of BTM Motorwerks, driven by Michael Shawhan. 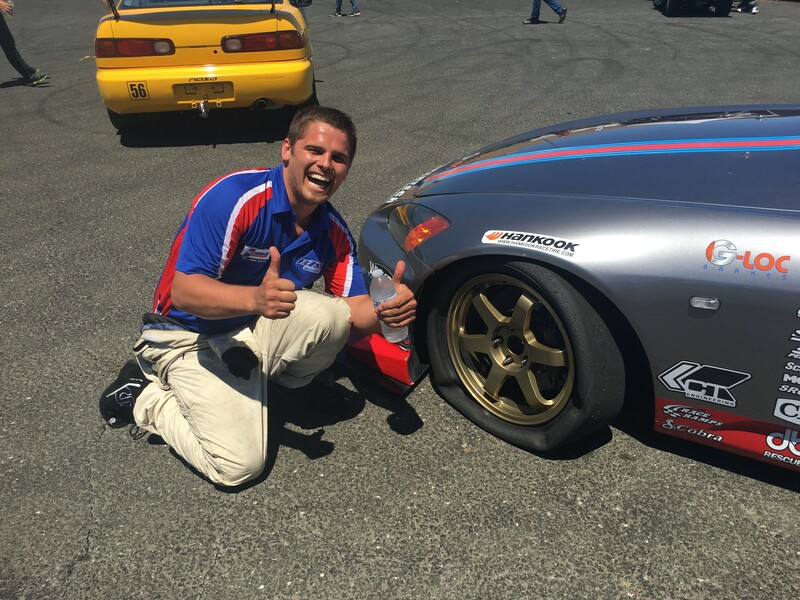 “The car feels good, but there’s a little more understeer than I’d like. We’ll make some adjustments tonight to see if we can get a little bit better balance. If we get it right, I think we’ll be able to improve from our times today,” Hartanto remarked following the first and final session of the day for the team. Sunday qualifying went well. So well in fact that Hartanto earned pole position by a margin of nearly a second ahead of the closest competitor. “The changes we made last night helped to make the car more driveable. I’m really thankful that everyone put in some serious work so that we could even arrive at this point. Pole position feels great, given everything that has occurred,” Hartanto commented. “We’ll need to get a good start for the race. Michael Shawhan in the BTM BMW has shown that he’s quick, so establishing a lead and maintaining consistency is key. It’s extremely hot out there, so managing the tires and ourselves is equally important,” Hartanto explained. The start of the race went well with Hartanto getting a terrific start during the standing start. Partially missing a gear shift following the start however, set the team back. 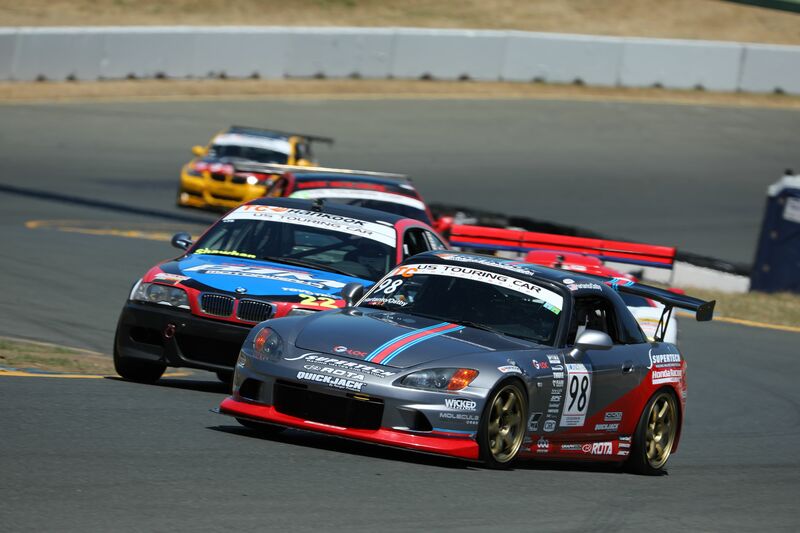 The BMW of BTM Motorwerks, driven by Michael Shawhan, got off the line in remarkable fashion, putting pressure on Hartanto and ultimately passing the Honda S2000. By the end of the lap, Hartanto had re-gained the lead with a bold move on the outside of Turn 11. 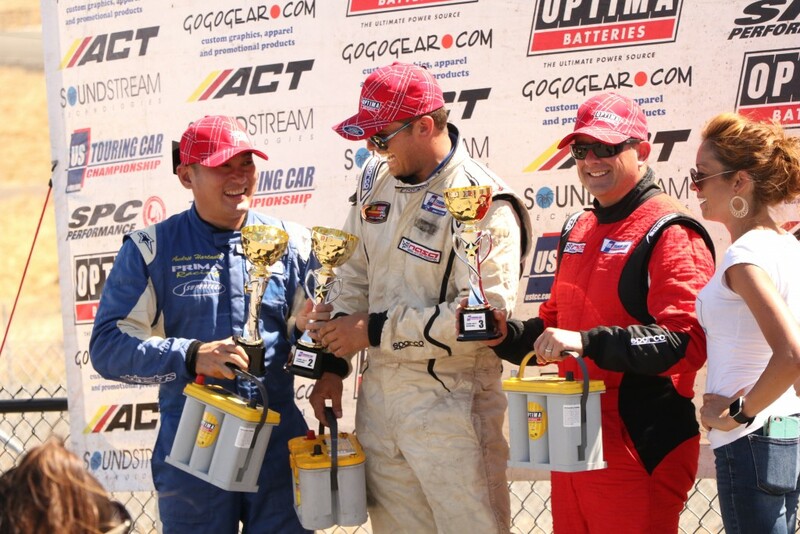 Following the move, Hartanto built up a commanding lead, rattling off a series of fast laps to increase the margin. On Lap 9 however, something seemed wrong. Hartanto radioed to Crew Chief, James Tam that the car began to suffer from massive levels of understeer on right corners. This led Hartanto to suspect that there might be something wrong with the front left tire. “I asked James how long we had left in the race,” Hartanto recalled. “I didn’t like the answer!” He laughed. “We pushed as hard as we could for as long as we could, but the understeer kept getting worse and worse. Meanwhile Michael is getting closer and closer. The white flag came out and I knew it was going to be tough to hold the lead. Sure enough, after exiting Turn 7, it was clear that the tire had nothing more to give. We had to concede the victory with only a few turns to go,” Hartanto ruefully admitted. Fortunately, Hartanto was able to limp the car home, holding onto the 2nd place position at the finish of the race, thus mitigating the team’s potential misfortunes from the tire failure. “The second place finish drops us down in the standings since BTM got the win, but it’s still a tight margin. I’d be lying if I say I’m not disappointed. We really wanted the win. We battled hard for the last series of laps on a punctured tire and eventually it got the best of us on the end of the final lap and we had to concede. Congratulations to BTM on a great win and thanks for pushing us so hard,” Hartanto commented, reflecting on the race. Next up for the team is their first race in the NASA WERC series, a three hour endurance race at Buttonwillow. “It should be even hotter than it was at Sonoma, so it’ll be interesting to see how the car holds up. 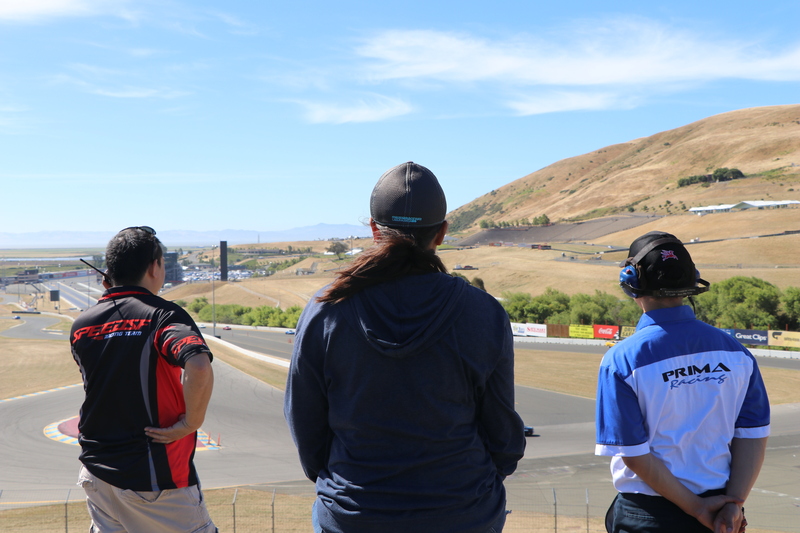 We’re approaching this as a dry run for our big endurance race at the end of the year, the 25 Hours of Thunderhill,” Hartanto explained.